This is Meghan Vestal, from Vestal’s 21st Century Classroom, and I am honored to be a guest blogger for Minds in Bloom! Recently, the science trend has changed from S.T.E.M. to S.T.E.A.M. (Science, Technology, Engineering, Art, & Math). We all know hands-on learning makes a lesson memorable for students, and integrating art is a great way to add creativity to any lesson. One of my favorite science units to teach is the solar system because there are so many easy, inexpensive, and memorable ways to integrate S.T.E.A.M. into these lessons. 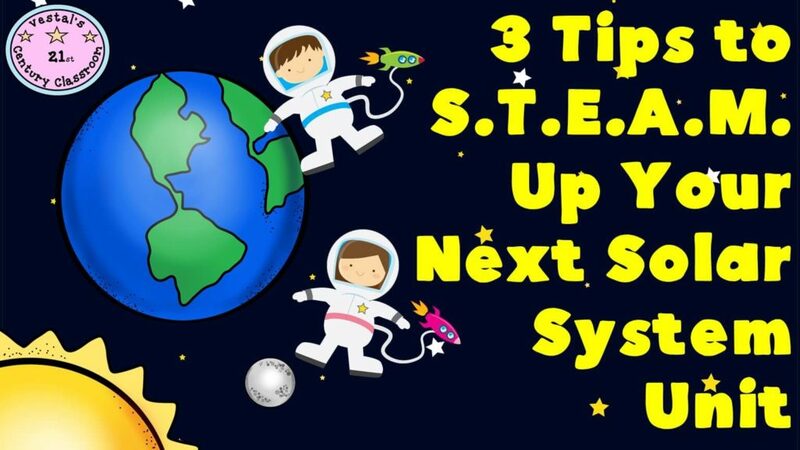 Today, I will share three of the best ways to “S.T.E.A.M.” up your next solar system unit. First, set the tone of the unit by having students help you to create a starry sky in your classroom. One of my favorite ways to do this is by having the kids make constellations out of foam board and Christmas lights. Buy sheets of black foam board from the dollar store and Christmas lights from Wal-Mart. If you are unable to find black foam board, then buy white and paint it black. Next, have the students work in groups to select a constellation. Once the students pick their constellation, have them draw it on a sheet of foam board. Then, use a sharp object to poke holes along the lines of their drawing. I have found that allowing the students to use a nail to easily poke holes through the foam board does not pose too much risk. Finally, allow the students to poke a strand of Christmas lights through the holes, taping any noticeable wires to the back of the board. Hang these on the walls and/or ceiling of the classroom to create a starry atmosphere. This activity also lends itself as a great review of electricity and circuits! 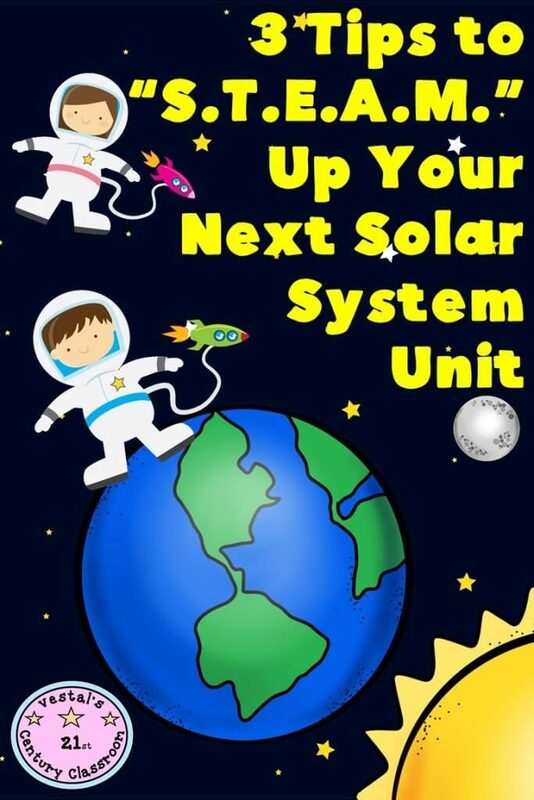 Now that you have a sky full of stars, it is time to transform the rest of your classroom into the solar system! Once again have the students work in partners to create paper-mâché planets. This activity takes some time and can get a bit messy, but the students LOVE it! Students can cover blown up balloons with strips of newspaper dipped in a mixture that is one part glue and one part water. Once the paper has dried, students can paint the planets and use pipe cleaners as rings. This is a great lesson to help students compare the size of the planets by blowing up the balloons to different sizes. For example, the balloon you use to make Jupiter should be much larger than the balloon you use to make Mercury. I like to hang my model from the ceiling, but not all schools will allow teachers to hang items from the ceiling due to fire codes. If this is the case, hang a wire across your classroom and attach the planets to the wire. You also cannot forget the moon when transforming your classroom! My students love working with “moon paint” to recreate the phases of the moon. Moon paint can be easily made by mixing flour into white or gray colored paint until it has the consistency of cottage cheese or ricotta. Have students paint the phases of the moon onto some type of round object and hang the 3D images on the walls of your classroom. Objects that can be used to cover in moon paint include the backside of a paper bowl, styrofoam circles or balls, paper plates, or egg cartons. Since the paint dries very rough and bumpy, be sure to talk about the rocks and craters that make up the surface of the moon. 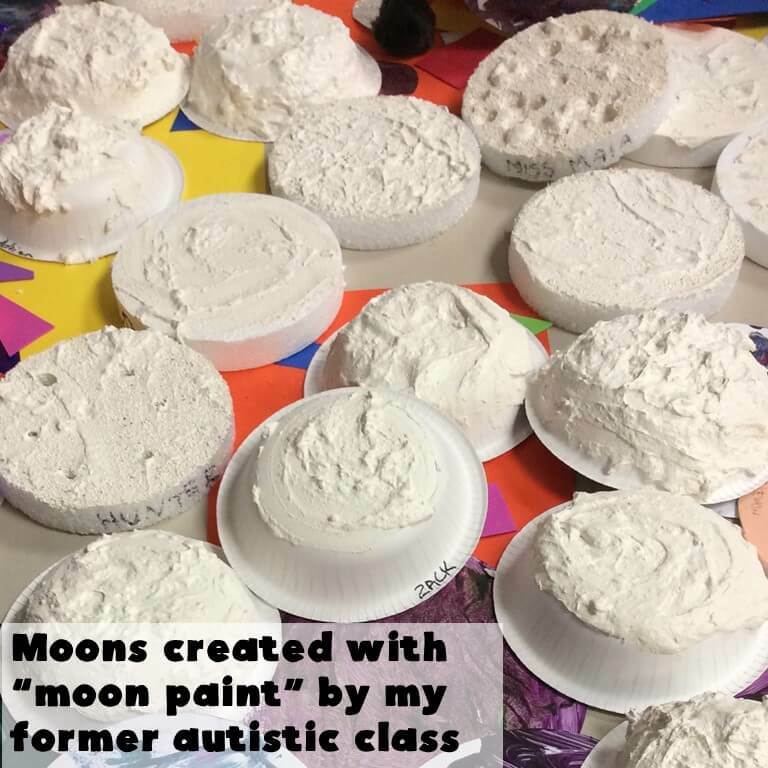 This activity has gone over particularly well with the autistic students I have worked with, as they love the feel and movement of the moon paint. Finally, there is only one thing that I vividly remember about fourth grade. 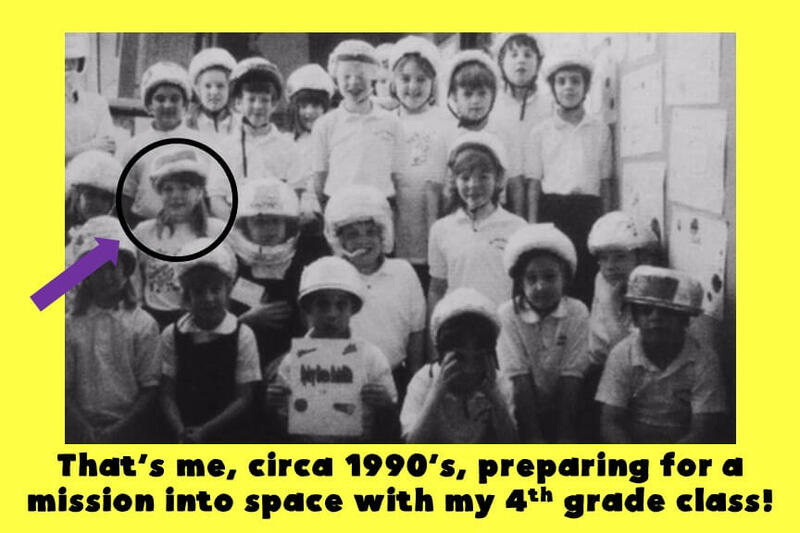 My science teacher, Mrs. McGan, had us create astronaut helmets, and each day we would put our helmets on and “blast off” into space. Mrs. McGan treated each solar system lesson as a mission into space, and it was awesome! When I was assigned to teach upper elementary, I knew this was something I had to replicate! Prior to the start of your solar system unit, instruct students to create an astronaut helmet by covering some type of head covering with aluminum foil and decorating it. I have found bike helmets work best but objects such as hats and bowls work, too. At the start of each science lesson, have students put on their helmet and play a video of a rocket blasting off into outer space. There are lots of clips by NASA on YouTube that work well. As the rocket is launching, count down from ten to blast off as a class. Once you have arrived in space, turn on the constellation light displays the students have created. This makes a great brain break for students and gets them engaged at the start of every lesson! Meghan Vestal has 6 years of experience working in the field of education. She has taught upper elementary and has been the Education Director for a nationally recognized children’s museum. 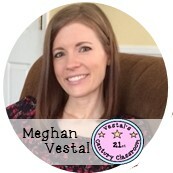 Meghan is currently taking time away from the classroom to recover from Lyme disease, but she spends every minute she is able connecting with other educators, blogging for the collaborative site ‘Virginia is for Teachers,’ and developing resources through her TpT store, Vestal’s 21st Century Classroom. More teaching tips from Meghan can be found on Vestal’s 21st Century Classroom’s Facebook, Instagram, and blog. When Meghan is not thinking up ways to make learning fun, she can be found watching a Disney movie while cuddling with her dog, Penny Lane.